I've been focusing on shaing and coloring techniques in Affinity Designer lately. 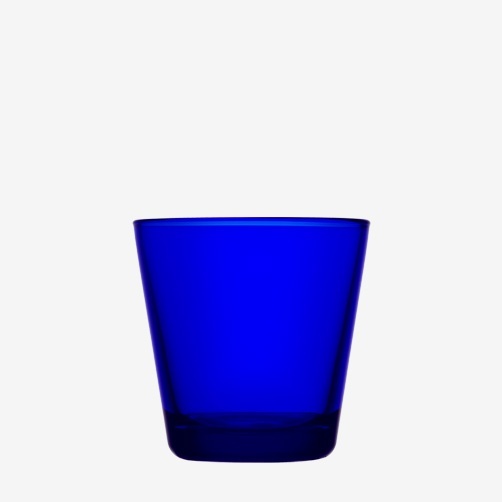 With this Blue Cobalt Shot Glass, I used gaussian blur, layer blending modes (Color Burn and Average) and opacity to acheive the effect that I was looking for. What methods would you use? Thank you for all of the great input. My goal was to make this illustration as "real" as possible. I've been expirementing with Gaussian blur, gradients, blending modes and opacity to acheive realistic highlights and shading. 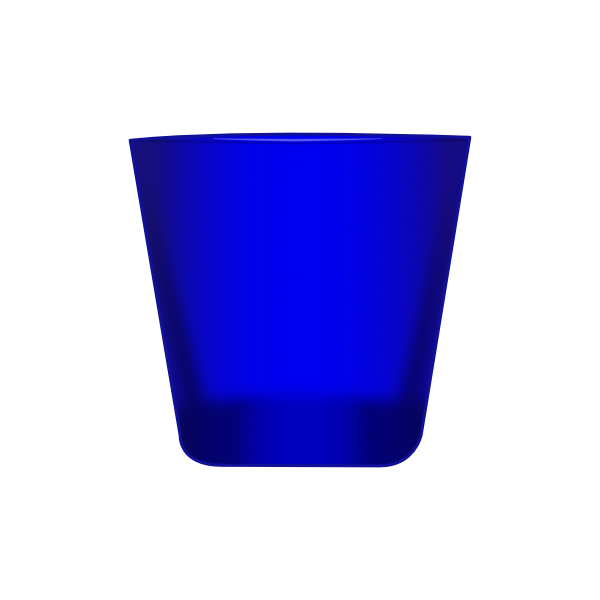 Given the incredible ease of pixel painting inside of vector shapes with brushes in designer, I would probably use a combination of 'airbrush' soft spraying buildup and maybe some blurred highlight shapes to add form and reflections to add a bit of a glass like feel. Thanks retrograde. I'll give it a try. Here's some shading that I typically do. 1. Make the shape and color with a midtone. 2. Decide where the light is hitting. In this case, from the top right down on the ball. This is a handy post http://gurneyjourney.blogspot.com/2010/02/light-and-form-part-1_15.html (actually James Gurney is awesome in general on art matters and posts frequently +++ recommend his blog) explains form in detail. I'm not being particularly obsessive about this circle . . . that would need a lot more layers. 4. Watch out for reflected light. Depending on how shiny an object is, most things will still pick up cast light from other strong colors. So if you place a red shiny pot next to a green bush, it'll get a greenish tint to the shadow. This helps objects "sit" in place in a painting. 5. Once that's done I start applying the transparency tool and various opacity levels to even things out. It's not that my way is better (I'm still learning this program too) but you might want the extra info? Transparency tool is a lifesaver. :-) Thanks for sharing your method with us, I'll mess about with it myself I think. Thank you for the detailed explanation, the link (Wow, that blog is loaded and I'm a huge fan of Dinotopia) and your original artwork file. I've edited my original post to include my .afdesign file and the original pic I used as inspiration. Of all the effects tools available I use Gaussian blur the most. very refined, this is net, bravo.